A new version of Google Maps recently hit Google Play and it packs a nifty new navigation feature that tries to figure out where you’re going before you tell it where you're going. The new feature—called Driving Mode—looks at your location history as well as your web searches to figure out where you might be going. Driving Mode can then give you information during your trip that is usually reserved for Maps’ navigation features, such as traffic alerts. The feature was uncovered by Android Police. Google Maps and Waze already do something like this when the apps try to figure out when you’re heading to work or home. Driving Mode, however, sounds far more ambitious and falls in line with Google’s longstanding vision of having your devices tell you what you want to know before you ask for it. It’s not clear, however, if Driving Mode is officially rolling out right now or if it was uncovered by accident. Once you get version 9.19 of Maps on your phone, you can check to see if Driving Mode is enabled by going to Settings > Navigation settings. If you see new options for Driving notifications and adding a driving shortcut, then Driving Mode is on your phone. The impact on you at home: Driving Mode’s new settings don’t show up by default, however, and Android Police says it has had difficulty figuring out how to turn on the feature. Apparently the usual voodoo of restarting your phone, force stopping the app, and other tricks can eventually activate Driving Mode. Lifehacker says it figured out a fairly reliable method by signing out of Google Maps, shutting down the app, and then re-opening it. Your luck may vary. In addition to Driving Mode, the new version of Google Maps features an on-screen audio toggle to silence turn-by-turn navigations while on the go. Previous versions buried it in a menu. There’s also a new settings screen for the Timeline feature to give you greater control over data collected by the location history feature. Android Police performed a teardown of the new app and discovered a new To-Do list feature might be in the works for Maps. This is highly speculative since they only found a few references to it and it’s not even clear how the feature might work. Hopefully, you would be able to attach locations to specific points on your To-Do list, allowing you to integrate your daily errands with Maps’ navigation feature—but that’s pure speculation at this point. 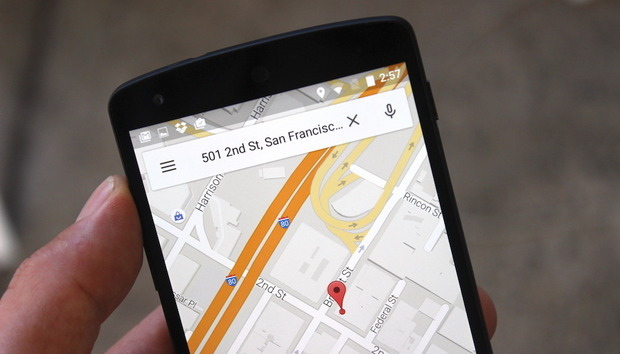 The new version of Maps is rolling out over the next few weeks to compatible devices.